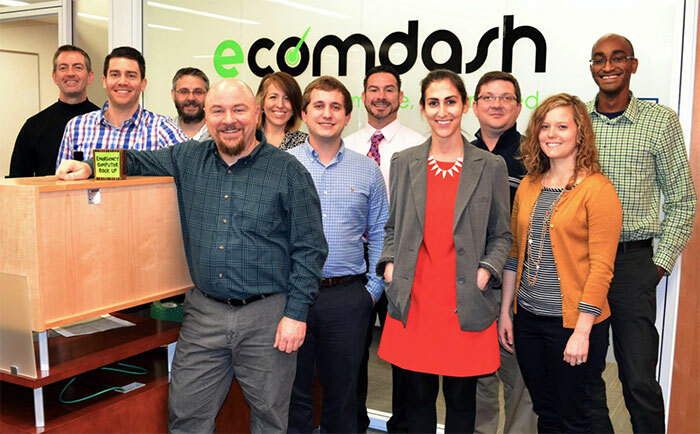 Charlotte Angel Fund made a $125,000 investment in local company Ecomdash in late 2016. You can read about that here. This investment was the ninth made by our group since formation in December 2013. Notably, it was our first in a Charlotte-based company. 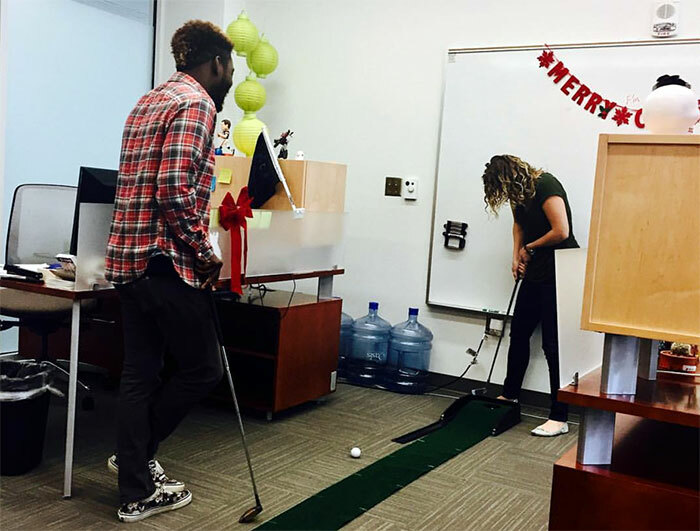 Dion and Liz busy running through forecast models (or working on their putting stroke) at the Ecomdash office. We’ve known this company since 2014 when they initially went to market. In fact, they presented to our group on two previous occasions before we invested. Extended exposure to the company gave us an opportunity to see how they executed their business over time. Their achievement of milestones that they told us they would hit gave us confidence in the management team and prospects for future success. 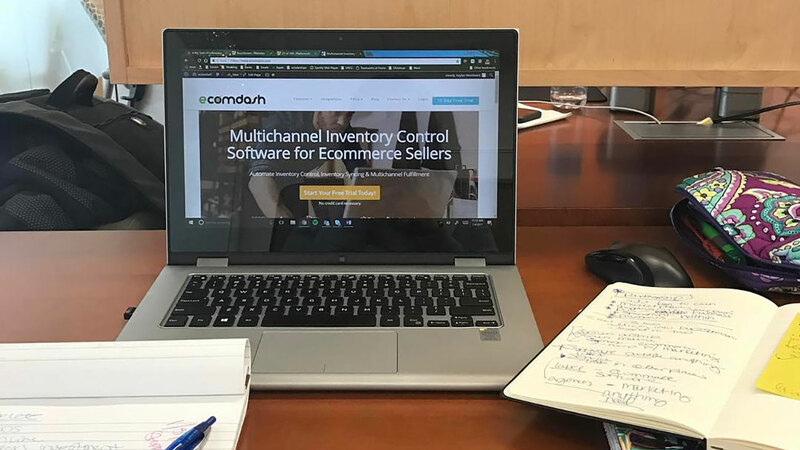 Management of inventory is a complex issue for online retailers who sell on via multiple channels (Amazon, eBay, Etsy, company websites, etc.). We were able to speak with multiple customers who confirmed the value that Ecomdash brings to their businesses. Lastly, we witnessed the rapid growth in the business from 2014 – 2016 and can see how the company can grow significantly from here. In summary, we found Ecomdash to have a quality management team, a product providing a solution to a big problem, and opportunity for rapid growth. Those are things that early stage investors seek in their portfolio. It is a complex set of things that must align for an investment to take place. The point is that founders should be politely persistent as they seek capital from investors. An answer of no received today doesn’t mean that the answer won’t be different later. Take note of what potential investors cite as their reasons for not moving forward. Keep them updated on progress and periodically inquire as to whether the time is now right to resume discussions. In 2016, we conducted a survey which showed that 61 surveyed local angel and venture capital investors personally invested over $35 million within the past five years. 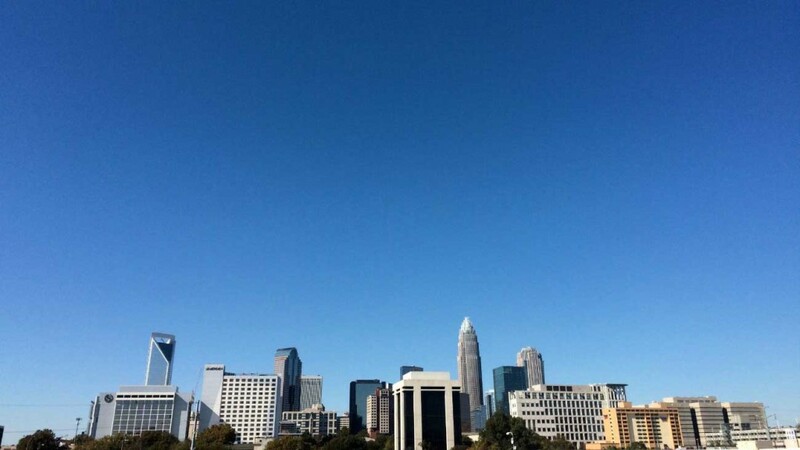 One third of that investment was in companies from the Charlotte metropolitan area. Charlotte Angel Fund’s growth is one indicator of investor interest. We started with fewer than twenty members at launch in December 2013, and closed 2016 with sixty active members in our fund. Those sixty individuals are enthused about investing in early stage companies and supporting Charlotte’s developing entrepreneurial ecosystem. Beyond investing, we will attempt to support the Charlotte entrepreneurial ecosystem in multiple ways. Our members’ efforts in this area will include hosting forums at which startup founders learn about investor perspective, support of various programs for startups such as Charlotte Venture Challenge, CityStartupLabs and Queen City Fintech, and mentorship of Charlotte area entrepreneurs. What next for Charlotte Angel Fund? In response to interest from our existing members and others who would like to invest with us we recently launched Charlotte Angel Fund II. Our investments going forward will be from the combination of capital remaining in the first fund and that which is raised in the new fund. To date, we have added approximately one new company to our portfolio each quarter. That pace can be expected to continue in 2017 and beyond. The average size of our investments will likely increase as we add to our total capital via admittance of new members to the fund. Who presented to Charlotte Angel Fund in January? This Charlotte-based company has developed a personal financial wellness software platform. They are marketing this as an employee benefit that companies can offer to their staff. The thinking behind this is that employees who are more financially secure are happier and more productive. Malartu’s core offering has been a web-based platform for equity crowdfunding by companies located in the southeastern U.S. This Durham-based company is now coming to market with a suite of business analytical tools based upon data gathered from companies who provide data on their crowdfunding site. This Ohio-based company has a web browser add-on product that is designed to provide sales organizations with highly accurate and useful contact and background information on prospects. Revenue is generated from software licenses as well as sale of leads generated by the company using its platform.